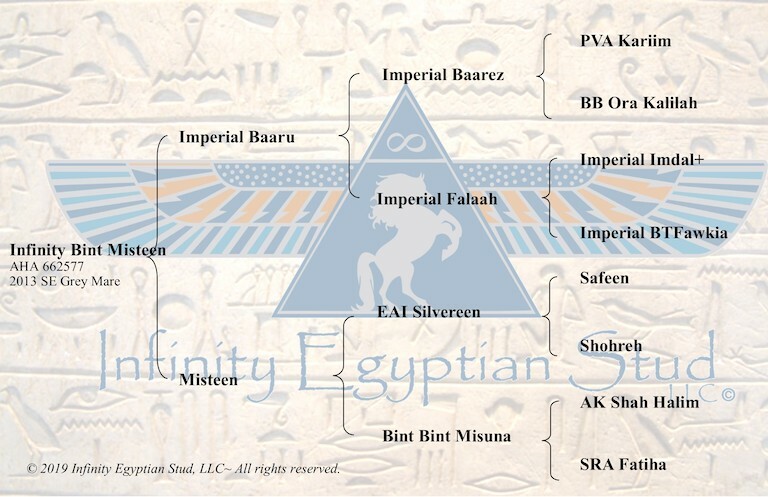 Infinity Bint Misteen is a beautiful typey daughter of Imperial Baaru out of Misteen. Unfortunately, we lost Misteen two weeks after she had Infinity Bint Misteen. 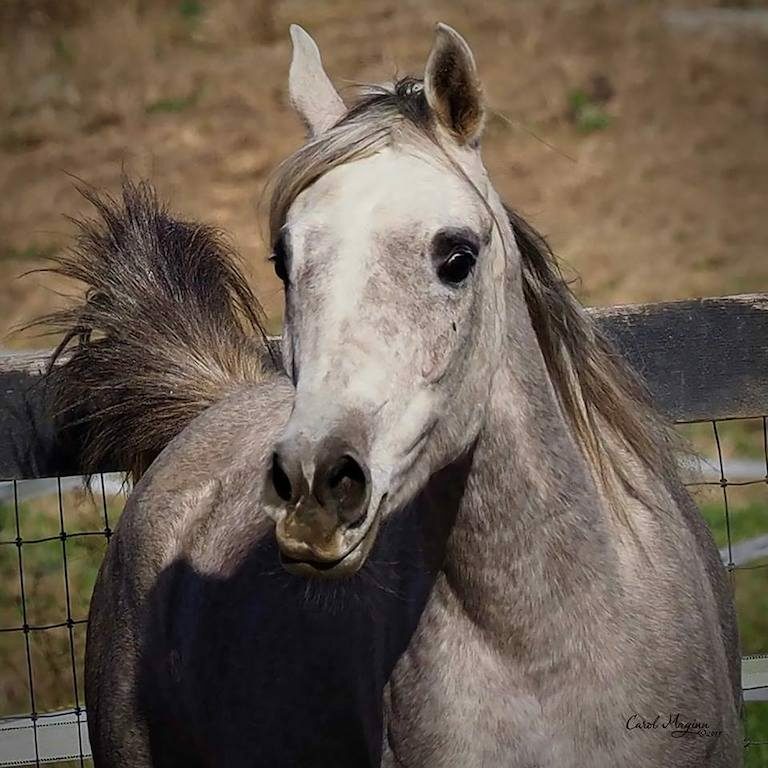 We are very happy to have this young mare and only daughter of Misteen to carry on her legacy at Infinity Egyptian Stud. In 2017, Bint Misteen gave us a beautiful filly by Qadar Ja’Zil.